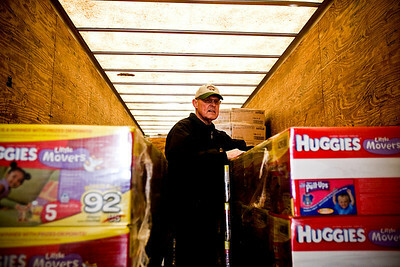 Lance Booth - lbooth@shawmedia.com Al Robel, of Johnsburg, moves a pallet of diapers into the new warehouse for the St. Paul Diaper Bank in McHenry on Wednesday, February 15, 2012. 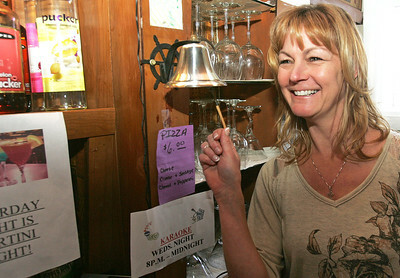 H. Rick Bamman - hbamman@shawmedia.com Amy Barry, new owner of the Corner Tap	in McHenry rings the tip bell behind the bar on Main Street. The Corner Tap has undergone a renovation and is coming back as a neighborhood corner tavern, with large-screen TVs, drink specials, Chocolate Martinis and karaoke on Wednesday nights. H. Rick Bamman - hbamman@shawmedia.com H. Rick Bamman - hbamman@shawmedia.com The Corner Tap on Main Street in McHenry has undergone a renovation and is coming back as a neighborhood corner tavern. Lance Booth - lbooth@shawmedia.com Larry Eils, of Harvard, helps to move diapers into the new warehouse of the St. Paul Diaper Bank in McHenry on Wednesday, February 15, 2012. The diapers where previously stored at St. Paul Episcopal Church, but the bank was looking for more room to store diapers. 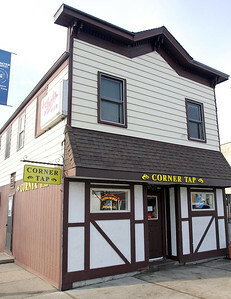 The Corner Tap on Main Street in McHenry has undergone a renovation and is coming back as a neighborhood corner tavern.